HL: What do you consider the main influences from the humanities in a cultural sociology? JA: Almost all the ideas of cultural sociology are concepts or theories taken from the humanities, and then resituated within a study of society, I would say. 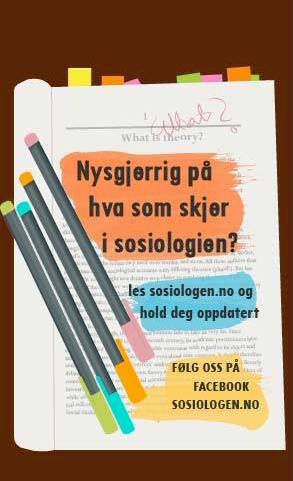 I think that sociologists are too oriented towards the natural sciences, in terms of both its methods and its aspirations. We need to go back to the idea of Geisteswissenschaften and Dilthey’s ideas, and think of ourselves as a part of the human studies. In terms of specific ideas […] one is the idea of discourse […] Discourse in the human sciences suggests the idea that there is a meta-language, and that it’s important to study this langue, and not simply the parole (speech). One of the worst mistakes of conventional sociology is to study speech and not language, to employ this very useful distinction of Saussurian semiotics. […] My approach to cultural sociology takes a relational theory of meaning, which means that meaning, like any discourse, has a binary structure. That’s really fundamental to semiotics as it was developed most prominently in Roman Jakobson’s work in the Prague school, which drew from Saussure. The binary structure centrally informed the work of Roland Barthes. Barthes who, along with Levi-Strauss, was central to the transition from linguistics to social semiotics. Barthes is a key figure in the humanities of the mid-20th-century, as much a disciple of Levi-Strauss as Levi-Strauss was a disciple of Jakobson (with whom he worked in New York City during World War II). What I have stressed in my own work is how the binarism of semiotic codes can allow us to make a new connection to Durkheim, in terms of The Elementary Forms of Religious Life. Semiotic binarism is isomorphic with what Durkheim called the sacred and profane, and this overlap between semiotics and classical sociology gives us even more confidence that we are not radically different as moderns from primitive people. It helps us to overcome the great divide between that which the enlightenment and the founding fathers of sociology established, and that mid-20th century social scientists elaborated, namely that everything that is modern breaks from what is traditional. Another concept that the strong program in cultural sociology takes from the humanities is the notion of hermeneutics and interpretation. In the humanities, especially in the study of literature, what are central are theories of how to interpret texts. We see an important exemplar of this in Paul Ricoeur’s work on hermeneutics, and especially in his critical essay about meaningful action interpreted as a text. Ricoeur goes back to Dilthey, […] who insisted that the human sciences always engage in interpretation. If we think of ourselves as interpreting, this doesn’t mean, however, that we have to give up the idea of explaining. Interpretation models of meaning can function as explanations. But not in the same way as in the natural sciences’ model of explanation […]. Another key thing that we take from the humanities is the notion of narrative, which in literary studies is often called genre. […] Basically narrative is plot, the notion of beginning, middle and end. Thinking about how social discourses are structured, narrative can pretty obviously be conjoined with the notion of binary coding; one can see how discursive binaries get translated as characters, protagonists and antagonists, in social narratives. Discourse, binary code, and narrative are concepts that informed my earlier work in creating the strong program (with the signal assistance of a series of brilliant students and colleagues). In my more recent work I’ve been sociologically developing two other concepts from the humanities, one of which is performance. In sociological theory, people have primarily talked about action. The idea of action comes from both economics’ notion of an individual rational actor, but also from legal theory. According to Steven Turner, Weber’s notion of action goes back to the notion of a legal definition of an act as displaying responsibility, conscious motivation, and discreteness. I’ve suggested that performances are maybe a better way of understanding what goes on in social action – better than the idea of “action”. Performances are symbolic actions in time and space. They rely on background representations and project meanings to an audience that’s separated from the actor/performer. So, by substituting performance for action we focus on communication. Yet, while symbolic, performance clearly has a pragmatic aspect to it, hence my choice of the general term “cultural pragmatics” for cultural sociology in a performative key. In terms of your initial question, I suppose I should point out what’s obvious – theories of performance emerge from the humanities. They were brought into sociology by Goffman in a really important way, but it’s my strong sense that sociologists in the Goffman-tradition have not advanced the symbolic elements of performance. And they certainly have rarely moved beyond micro-sociology and tried to conceptualize performance in a more macro-sociological way. That’s what I’ve tried to do. The other humanities concept I’ve recently been working to bring into cultural sociology is the notion of iconic symbols. In social science the concept of material culture is, of course, already of great importance, but mainly within anthropology […]. There has also been, in the work of Latour and his school, a growing interest in the sociology of objects. My own way of looking at this, which I’ve developed in a few articles and hope to write a book about, is that we need to root a theory of iconic objects in aesthetic theorizing about the senses and forms. I believe we need to combine art theory and the philosophy of aesthetics with cultural sociology as it has developed thus far, to create a proper understanding of the social role of material symbols. HL: When you do empirical research with these analytical concepts what type of data do you typically analyze? JA: You need discourse. You need speech. You need to have written records of speech. Most of the students who’ve worked with me have used media, either television or newspapers. Because only through the exploration of discourse can you reconstruct narratives, codes, performances, and even icons […]. The good thing about mass media, as compared to say a quote from ethnography or a policy document, is that you know that it is being read widely. You don’t necessarily know what the audience interprets from it, but if you explore media over a period of time you do get a sense of audience interpretation because a media organization will provide evidence of how audience/readers are being reconstructed too. It’ll have people writing in, responding to changing appearances, and you’ll be able to see the focus, because media has to sell newspapers, and they’re responsive to opinion […]. 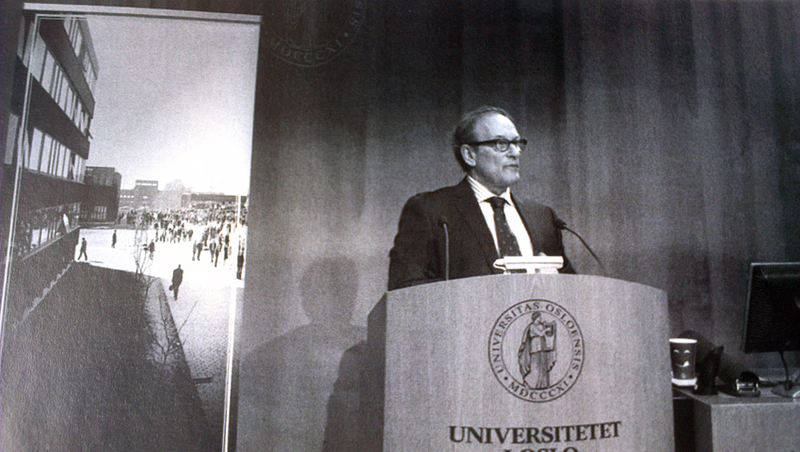 HL: Bourdieu has had a massive impact on Norwegian sociology, and he still has a high standing, especially in studies of stratification and cultural consumption. You have on several occasions criticized Bourdieus sociology of culture. What do you consider the main strengths and weaknesses in Bourdieus theories of culture? JA: Let’s start with the strengths. I regard Bourdieu as part of the great movement of neo-marxist revisionism that starts with Lukács and goes on through Gramsci, Althusser, Sartre, the Frankfurt and Birmingham school. I argued in my 1982 book that Marxism continually revived itself by incorporating the relative autonomy of superstructures, making use of what was available in the cutting edges of cultural analysis at that time. I think one mark of Bourdieu’s achievement is how he was able to “revise” orthodox Marxism by putting semiotics and structuralism to work. He understood hermeneutical reconstruction, and he also had the creative intellectual capacity, the theoretical and philosophical sophistication, to find a way to incorporate a theory of meaning with structures of stratification. That was a great accomplishment […]. Finally, Bourdieu was also a radical social critic, engaging with abandon in what Ricoeur called the hermeneutics of suspicion. His work is filled with bitter indignation at the perverted justice of society, but it is also leavened at times by irony and sarcasm, though perhaps not with as much aesthetic grace as is the work of another capitalist critic, Thorstein Veblen, and his The Theory of the Leisure Class. Bourdieu’s ability to interweave high theory, dense empirical research, and bitingly bitter ideology-critique makes him deeply appealing for many social scientists, which are often also radically committed, and also for lay readers who are equally disgusted by the hypocrisies of their societies. The failure of Bourdieu’s program, in my opinion, is that he doesn’t recognize that culture has relative autonomy from social structure. In fact, the whole point of Bourdieu is to tie meaning to structure, and to demonstrate that meaning is constructed in an instrumental way to defend a position in a field, or to gain power in a field. To me this is terribly misleading. I have made the analytical case for the relative autonomy of culture throughout my writings […]. We need to recognize that meaning has its own interior logics, its own cultural logics, and we need to possess tools to analyze that. It doesn’t mean we ignore institutions, but we need ways of isolating the internal logics of meaning if only so that we can observe how often they are in tension with structural positions rather than, as Bourdieu continuously asserts, merely complementing them.